You’ve bagged the “baggie” and the “brown bag” for the sake of the environment, and we’ve found the ideal containers for packing your hungry monkey’s reusable lunch bag: Wean Cubes! When Wean Cubes first debuted on the scene, they came in small sizes designed to store perfect portions of baby food. Now Wean Green has expanded their collection to include tempered glass storage in larger snack and sandwich sizes for big kids! They’re ideal for keeping sandwiches from squishing, fruit from smashing and crackers from cracking! Available in a variety of eye-catching colors: raspberry, blueberry, peas and carrots, Wean Cubes are 100% recyclable and sustainable, and BPA-, PVC-, phthalate, and plasticizer free. They feature smart locks to keep food securely stowed inside, and they will withstand extreme temperatures for freezing and heating food. Whether or not you think schools should ban disposable lunch items, Wean Cubes solve the problem of waste with functional style. 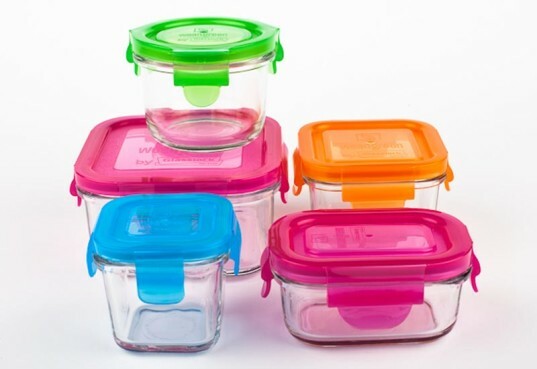 I use the various sizes of containers in my Wean Cubes collection to pack snacks that I don’t want to find smashed at the bottom of my diaper bag, to pack lunches, to store baby food and toddler sized portions of food, and as all around handy glass storage for leftovers. For more great ideas on lunch packing, visit our posts: 6 essentials to pack in your child’s school lunch box, 6 healthy, homemade snacks for families on the go, and 7 kid-friendly vegetarian alternatives to PB & J. You've bagged the "baggie" and the "brown bag" for the sake of the environment, and we've found the ideal containers for packing your hungry monkey's reusable lunch bag: Wean Cubes! 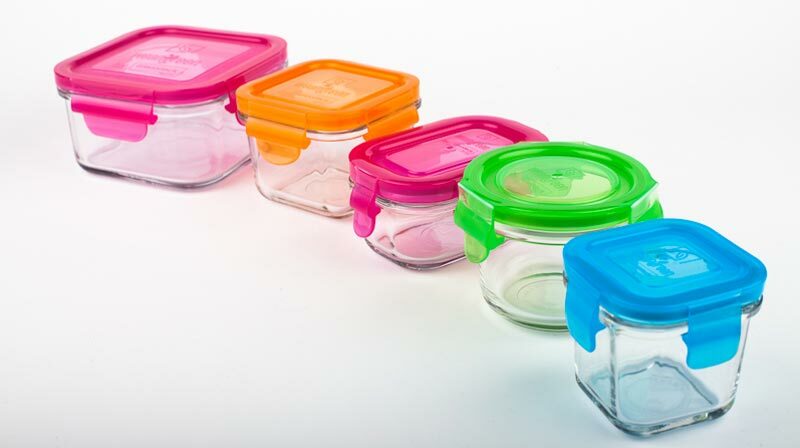 When Wean Cubes first debuted on the scene, they came in small sizes designed to store perfect portions of baby food. Now Wean Green has expanded their collection to include tempered glass storage in larger snack and sandwich sizes for big kids! They're ideal for keeping sandwiches from squishing, fruit from smashing and crackers from cracking!